Sometimes when I design a project, I have an idea and choose my yarns based on my vision of the finished project. Other times, I fall in love with a skein or cone of yarn and build a project around its best features. 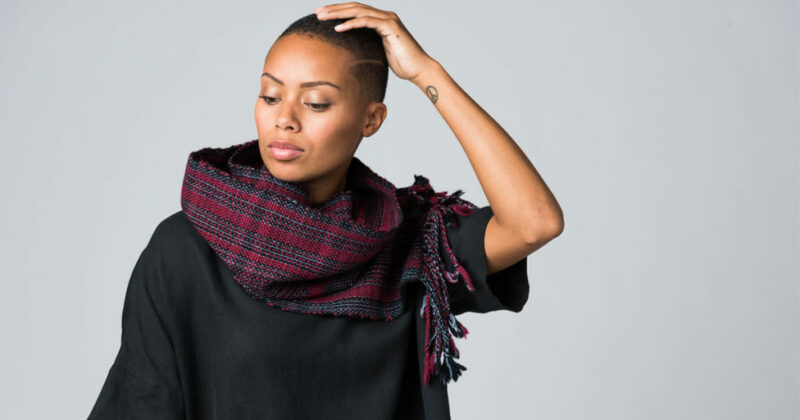 For her Yarn to Love scarf from the Handwoven Loom Theory: Rigid-Heddle Scarf Collection, Anu Bhatia got the joy of designing a scarf around some of her favorite designs. 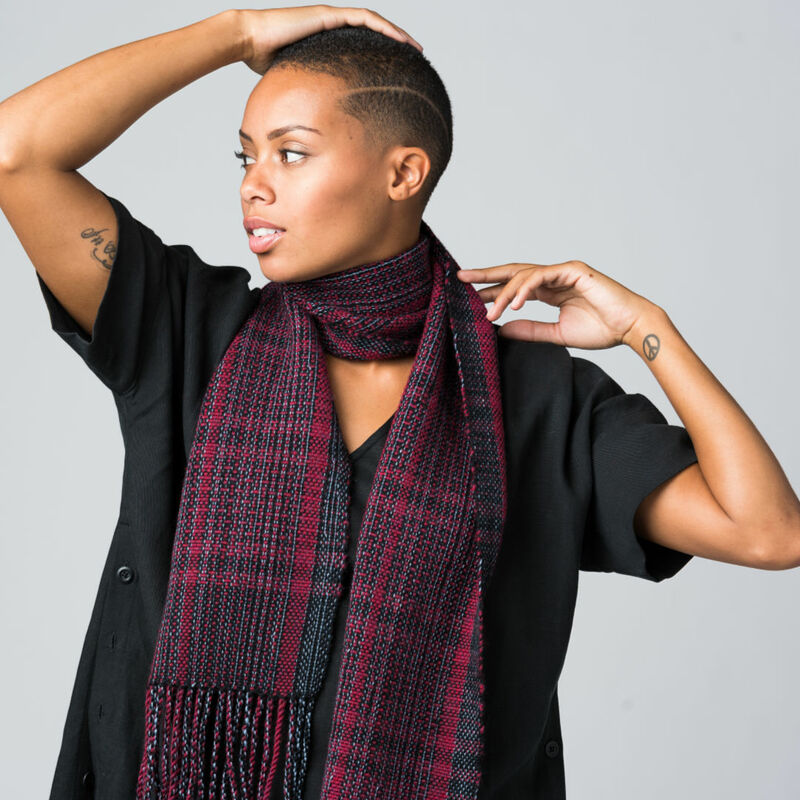 The result is a color-and-weave scarf that celebrates—and shows off—everything she loves about her yarns. The patterning in Anu Bhatia’s plain-weave scarf happens thanks to her clever color-and-weave design and the combination of 3 sizes of yarn. PHOTO BY CALEB YOUNG (GOOD FOLK PHOTOGRAPHY). For me, projects almost always start with a love-at-first-sight moment with a particular yarn. This is followed by research to find the perfect weave structure to showcase my new love. When I was asked to make a scarf using Jagger Spun yarns, which were already the objects of a serious yarn crush of mine, first, I did a happy dance, and then I designed a scarf with a color-and-weave pattern that uses 3 sizes of yarn for added interest. STRUCTURE: Plain weave with color-and-weave. EQUIPMENT: Rigid-heddle loom, 10″ weaving width; 10-dent heddle; 2 stick shuttles. YARNS: 4/6 Mousam Falls (100% superwash merino; 840 yd/lb; Jagger Spun). 2/18 Superfine Merino (100% merino; 5,040 yd/lb; Jagger Spun). 3/8 Heather (100% wool; 1,500 yd/lb; Jagger Spun). FINISHED SIZE (after washing): 8 ½” x 65″ with 5 ½” fringe. Featured Image: Anu Bhatia’s Yarn to Love Scarf is a celebration of the Jagger Spun yarns Anu loves so much. PHOTO BY CALEB YOUNG (GOOD FOLK PHOTOGRAPHY). Explore the exciting features in Handwoven!